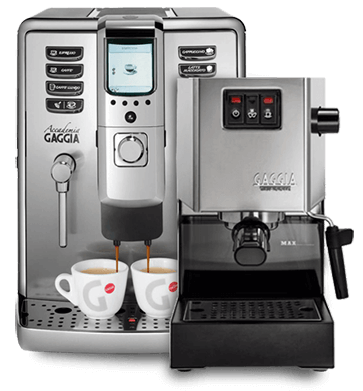 In this article we will meet the appropriate coffee machine, which is essential for brewing a really tasty Italian coffee. 1) It has to provide the appropriate and constant water temperature, below boiling-point, at 92-96 degrees and the pressure of 9 bars. It does not seem too difficult, although several coffee machines on the market are not capable of satisfying these criteria; therefore they are unsuitable to make a real espresso. 2) The boiler of the machine has to be big enough to provide continuous temperature during the coffee brewing. The machine should not boil the water as it would burn the grounds and extract too much tannic acid. Some coffee machine boilers are under-calibrated, so they keep pressing colder and colder water through the coffee during the brewing procedure. The primary sign of the inconstant water temperature is if the crema is not uniformly brown, instead it contains light brown stripes. The coffee machine must contain a big mass, good heat-retaining, copper or aluminum boiler which will provide the consistent temperature around 92 Celsius. The boiler should have one or two high performance heating element(s) to avoid long waiting time while the boiler is heating up. The other factor, mentioned earlier, is the pressure. Entry-level machines boil the water to increase the pressure, so the boiling water goes through the ground coffee, resulting in burnt and bitter beverages with high tannic acid level. Good coffee machines generate pressure of 9 bars by using water pump(s) and valve(s). This technology is based on an invention from 1946, when Giovanni Achille Gaggia built a spring-loaded valve into an old-fashioned machine. This valve made it possible to push water, below boiling temperature, through the coffee. As a result the coffee has become softener and lighter, and the hallmark of the perfect espresso appeared, namely the crema.